AIU Insurance Company is a property and casualty company that provides accident, casualty, health, marine, and property insurance products. The company is involved in the credit insurance and risk management sectors as well. 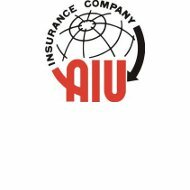 Founded in 1851, AIU was originally known as American International Insurance Company; they adopted the new name in late 1976. Today, AIU Insurance Company is based in New York City and operates as a subsidiary of Chartis International, LLC. To see health insurance rates from providers in your area, simply enter your zip code in our free search tool below! Chartis International, LLC is itself a subsidiary of the now infamous American International Group (AIG). AIG is a holding company involved in insurance and financial services, also based in New York. Their insurance subsidiary, Chartis Insurance, is the subsidiary under which AIU operates. AIU is licensed in 48 states as well as the District of Columbia. They do not sell policies in Hawaii or Wyoming. AIU does not maintain its own website, therefore the following information is taken from the Chartis Insurance website. AIU Insurance Company and Chartis Insurance offer dozens of product lines for both businesses and individual consumers. In terms of consumer health insurance, AIU policies usually are not sold on an individual basis. Rather, the company prefers to sell policies to employers, business trade groups, and other organizations that then enroll their employees or members. That said, on occasion, individuals can and do purchase health insurance from the company. In addition to health insurance, AIU also provides several other insurance lines to individual consumers, including auto, accident, home and property, travel, and specialty insurance products. Information about AIU individual insurances is readily available through the Chartis Insurance website. Details are lacking however, so for in-depth information you will need to contact the AIU New York offices directly. Some of the specialty commercial areas that AIU and Chartis deal in include aerospace, worker’s comp, and executive liability. The company even provides businesses with loss prevention and risk management services. Like many other similar financial institutions, AIU Insurance Company utilizes local representatives and independent agencies on a limited basis. The local agents AIU works with are primarily interested in the risk management and financial services AIU and Chartis provide. For individual policies like health and auto insurance, AIU prefers to deal directly with their clients, whether they are businesses or individual consumers. Purchasing a health insurance policy from AIU is a simple process of contacting them via their website or telephone. They will assess your needs and the type of insurance you want, and offer you a policy accordingly. In some cases consumers may be surprised to learn that the company they work for has access to AIU products. Of course, that varies greatly from one employer to the next so it is not necessarily guaranteed. Because of AIU’s corporate structure and their extremely long product list, it is not possible to present a hard and fast rule for claims of service. As a general rule, AIU health insurance coverage will operate under a third-party provider model. In other words, AIU Insurance Company will not directly process claims from your doctor and return reimbursement to him. The customer will pay medical expenses out of pocket, or make other arrangements if necessary, and then submit the claim to AIU himself. AIU will then review the claim and make a determination of payment. While this third-party model can be inconvenient for the customer, companies that employ it to do so because it helps to keep costs down. When customers must pay the bill out of pocket at the time of service, they are more likely to shop around for the best possible deal. This model also eliminates the natural haggling that occurs between provider and insurer, which streamlines the claims process and also contributes to lower cost. The Chartis Insurance Company website indicates that Chartis International has thousands of job opportunities available worldwide. Interested candidates can peruse job listings on the website to view descriptions, qualifications, and application instructions. Positions currently are available in a number of departments including sales, support staff, IT, and more. It is not clear whether candidates interested in working for AIU Insurance Company will be directly interviewed and hired by AIU or whether they will have to go through Chartis International. It is also not clear whether or not interested candidates can specify their desire to work for AIU Insurance Company. Your search for great health insurance rates begins when you enter your zip code below!